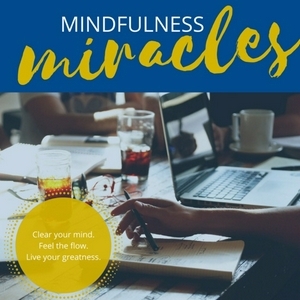 Mindfulness Miracles is based on the A Course In Miracles workbook. These short little lessons and Inspired Actions are designed to help you engage a more intentional way of living your life purpose. Episode 85: Are you a stranger? Fear can erode the greatest relationship in your life. Here are two ways to address it. It’s so simple. In under 2 minutes, I can give you a tool that will change your life for the better. Doing this one thing is truly the key to happiness. Seriously. Our choices can place us in heaven or hell in each moment of our life. Choose wisely. A very short and simple lesson on generosity as learning. This is a longer episode. No inspired action. Based on tantric yoga philosophy, a wonderful framework to explain life. The taproot to peace is inside you. Dig in. Episode 78: Fire that judge! Let’s be real with each other. We all such at being a judge. If you are like most, you’ve turned your back on the most important relationship in your life. Time to reconnect. Stories keep us stuck. Find out how to start dropping your biggest obstacle to abundance. Sometimes the GPS system of our mind is outdated. Here’s how to correct that. In this final episode of 2018, am intention you can use daily for your new year. This is a combined episode and inspired action. There is some strong language so consider 🎧 if children are present or if listening in public. We walk through the world in shackles and chains but we do t have to. Here’s how to bust free. The internal tug o war is exhausting. It keeps us busy in a self imposed prison. Today, drop the tops and step outside the prison gate. This episode isn’t for everyone. Really, there’s nothing to see here unless, of course, you’re not happy in your life. Episode 66: Ain’t love grand? A little (self) empathy goes a long way. Personal training for the mind. Shift perspective. Simple exercise to instantly shift how you feel. We are so much more than we allow ourselves to be. A simple salve for daily hurt. This is a combined episode and inspired action. Episode 58: Is it better to give or receive? Time to get out of your own way. Stillness is not weakness. There is great power in stillness. It is a place to sharpen your sword, cut through the noise and connect to Truth. This is a controversial and mind blowing concept. It’s far too easy to habitually play the victim. Today we shift that. A little secret about you. A superhero power and tower for accessing that power. Reconnecting to your true self. Looking to the lens of weakness and strength. Inspired Action is a soul strength training program. Viewing life through a lens of darkness or light? A new lens to see the world that attracts abundance, beauty, love, and joy. In this lesson and inspired Action we begin to see the world through a different lens. Love holds no grievances. Today’s lesson is one of those deceitfully simple yet complex mega miracle producing life hacks. They don’t teach this in church or school. Here’s one way to begin. Talking about the obstacles to happiness and an inspired action to break down the obstacles. In this episode we’re going to learn about who we really are. So many people are searching for their purpose. That’s simple. I will share it in this episode. It’s the expression of their purpose that is more intriguing to discover. Episode 32: Whats the point? This is a review, but honestly this is so good you’ll return again and again. Just as our bodies need sustenance, so does our souls. Ever wonder how to get into the zone, “feel the force “ as Yoda would say, and create amazing things? Listen in. A continuation on the light within you. I hear people talking about others acting entitled but what are we truly entitled to? Find out in this episode. The self-imposed prison and the way out. A simple mindfulness practice for attracting the ideal client. Episode 20: See God, Kai. We explore how we view the world and how to change the lens through which we view it. When we see chiti in everything, everything changes! The invulnerable place within we protect at all costs, including the price of inner peace. The path to joy starts with courageous honesty! A poem I wrote a year ago that Facebook reminded me of and I knew I had to share here because this is what the miracle is all about. The separation our ego supports and what to do about it. Out mindsets are created from meaninglessness. Things are not as you see them. The source of suffering is your subconscious obsession. Recognizing the past in everything we see. What's really upsetting you? Is it even real? Inspired Action # on what's eating you. How our thoughts are keeping us in a self-sabotaging loop. What are these 35-48 thoughts per minute running through our minds? 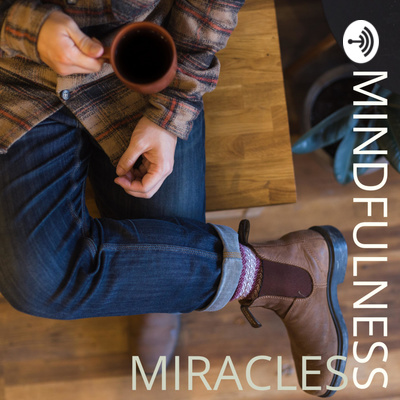 This is the first inspired action mindfulness practice. This is lesson one. Before you can operate more effectively or efficiently you have to clear the cache.